I just read The Dinner Party. It's not so much a story as an anecdote with more descriptive words. Because of the content of the story, I can understand why it would be used in schools. 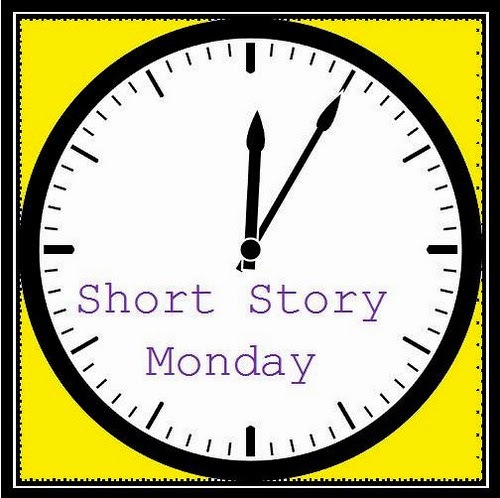 This week I read a short story by Virginia Woolf. Only two and a bit pages. Sadly, I couldn't find the text online. I never read 'The Dinner Party' and with your review, I think I'll skip it. I read Riff Raff. We both agree on that story. Very tired of Canadians making fun of Americans using Canadian stereotypes! Found your entry via a Google search of the exact same thing--any information on the "famed" Mona Gardner. Clearly, it's a bit old, but I thought I'd leave my two cents anyway. I use this story frequently in my remedial Freshman English classes. While I agree with you, as a story it's very weak (which makes for an interesting time breaking down plot, conflict and protagonist/antagonist elements), the thought-provoking potential is ideal for that age group--particularly with those having minimal critical thinking skills in the first place. I thought your comment about the author not discussing whether or not we had ever been in such a helpless-female era was interesting. I think that's precisely the point. It's not so much whether or not the characters were or were not in such an era, or had or had not outgrown it, but the perception of these men AND WOMEN that that was the case. For an honors senior, college student or intellectual, this little anecdotal story is flat and un-engaging, but for an American 13 or 14 year old in the Bible Belt already considered behind in their cognitive skills, this story is a perfect platform to kick off discussions into feminism and cultural prejudices on a much more tangible level. Then comes Virginia Woolf and the scholarly articles. I imagine I'll continue to use this little gem for years to come. JSimp: Thanks for comment! If you find it useful as an instructional aid, more power to you. Are there any other short stories you use on a consistent basis? Oh sure, there are a plethora I pull from anthologies and what-not. Gets difficult though with changing textbooks to stay legal. The world of free access Short Stories accessible to this age group is limited. "Nightmare in Yellow" is always a popular one, and of course, "The Little Matchgirl." Both, like "The Dinner Party," incredibly short and simplistic for breakdown purposes, but also engaging enough to use. I guess I could also add my reasoning for using such short, simple stories. "Nightmare in Yellow" is almost always the very first short story I show them. It's engaging enough to intrigue them and ask for more, but has enough of a classic plot structure to start narrative annotations and breakdown from the start. It is also unique in that it forces them to think critically about the role of the protagonist and antagonist. The protagonist in this case is a "bad guy" and the antagonist is his own plan and quirkiness working against him. Likewise, as in many short stories, there is no Resolution, merely a "black-out" ending which shows this composition device as well as set-up an easy reflection/closure piece involving the students writing their own versions of how the story resolved. "The Little Matchgirl" is a great example of well-written imagery, descriptive language and also a good example of how stories can be very intimate and close, while still being somewhat "epic" in the stories they tell. A classic. Of course, with "The Dinner Party," the main idea is to platform a discussion of a topic out of a story, but I can also make great points about the importance of understanding Setting and Historical Context and how it can effect how we read and think about a story. And like "Nightmare in Yellow," it forces them to think outside of the box when identifying Protagonist/Antagonist, which in this case are less about individual characters and more conceptual in nature (though an argument could be made for the American Naturalist being the Protagonist). Just wondering is the story in the public domain? I use the Dinner Party in 7th grade to introduce Kylene Beers's and Bob Probst's Sign Posts for close reading fiction. The first of the sign posts is Contrasts and Contradictions and The Dinner Party is an easy jump off point to get the kids discussing what contrasts and contradictions are and what they help us to understand about the author's purpose.